EASIEST. RECIPE. EVER. This yummy and affordable crock pot recipe has become one my new go-to weeknight meals. 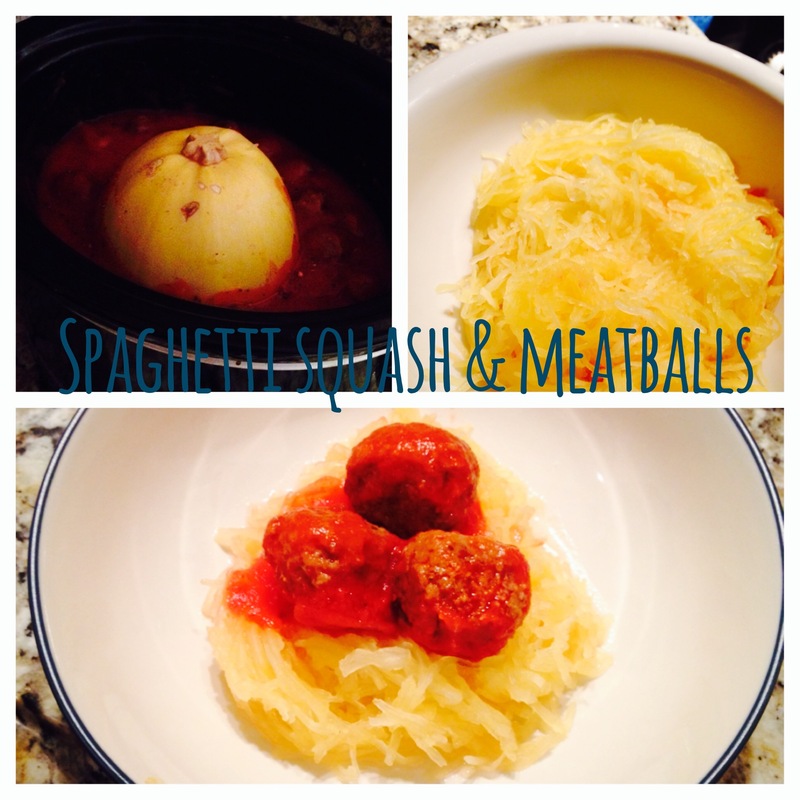 It brings all the comfort of traditional spaghetti and meatballs, minus the pasta carbs! I had my initial doubts when I read through the ingredients, because I’m a huge pasta lover. But trust me, you’ll be shocked at how the consistency of the spaghetti squash is similar to actual spaghetti. Credit for this super easy recipe goes to the blog I Wash…You Dry. Cut the small spaghetti squash in half and place cut-side down in your slow cooker. The spaghetti squash I bought was too big to fit in my crock pot so I could only use half. Just keep the size in mind when you’re choosing a squash. Pour the sauce and meatballs all around the squash. I added some red pepper flakes…feel free to improvise. Use your favorite sauce and meatballs, or make your own. Cook on high for 3 hours or low for 5 hours. After cooking time, the spaghetti squash will be ready for you to easily scrape out its contents into a separate bowl. THAT’S IT! Try out this recipe let me know how you like it!